The rising price of oil is not the only commodity-related issue stirring the thoughts of both asset managers and fund selectors. As the price of oil moved above the $50 level recently, there was rightly renewed focus on energy related commodities and companies. For example, there are implications for default risk associated with US energy companies that make up a substantial part of the US high yield market – many borrowed heavily to invest in so-called fracking operations. 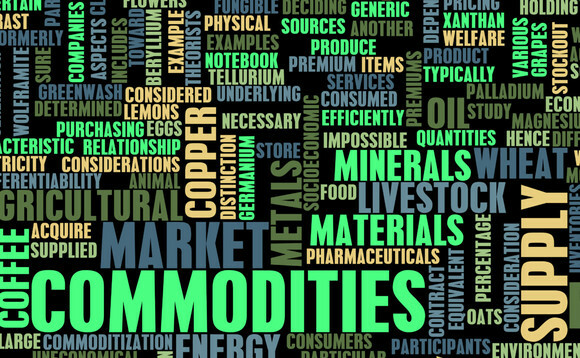 2013: commodities to benefit from global macro turning point? For investors in oil and gas support services companies there is also a lot at stake. For example, for Norwegian investors in Norwegian equities, the weighting of offshore oil services companies on the Oslo Børs, even without the weighting of Statoil, means oil price swings are a big deal. These are, of course, merely illustrations of the story for both hard and soft commodities in recent years, which has tended to be one of declining prices, and investors trying to figure out who may be the winners (eg, oil importers) and losers (oil exporters) from the trend. A key driver of this development has been China; perceived decline in the demand for commodities has hurt both hard and soft commodities alike. And the stronger dollar hurt the price of commodities, most of which trade in this key currency. And yet, there are now signs that the price deflation could be coming to an end and the commodities cycle ready to pick up once more. Van Geyt cites the performance of the Bloomberg Commodity Index (BCOM), which measures returns from a weighted basket of energy, grains, industrial and precious metals, soft commodities and livestock. From 2001 to mid-2009 it gained more than 160%. From mid-2011 to the end of 2015, it fell 55%. “Commodities were the worst performing asset class globally last year – partly due to slowing Chinese expansion and the strong dollar – leading investors to withdraw a record $850m from US exchange-traded commodities over the 12-month period,” Van Geyt notes. Chris Beer, senior portfolio manager, RBC Global Asset Management, is another who sees positive tailwinds. Additional quantitative easing in the form of fiscal stimulus could impact on demand. On the supply side, the multiyear bear market means supply has been falling. Gold may be set to particularly benefit from broader geopolitical risk trends in addition to basic supply/demand balances, Beer adds. Arnaud du Plessis (pictured left) and Stephane Soussan, respectively, senior portfolio manager Natural Resources & Gold and senior portfolio manager Natural Resources, Energy, Agriculture at CPR Asset Management, are likewise positive. 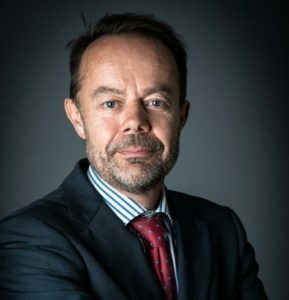 Duncan Lamont, head of Research and Analytics at Schroders, noted recently three key reasons for considering commodities, which would tend to make sense to investors: they can provide an inflation hedge, they can diversity equity risk, and they offer the potential for more attractive risk-adjusted returns. However, Lamont also suggested that investors in commodities funds need to do their homework. Local factors can affect demand for commodities investments, of course. For example, Tortoise Capital Advisors, who attended InvestmentEurope’s Autumn Pan-European Fund Selector Summit in Hamburg, noted in their presentation the differences in natural gas prices in June this year varied from $2.90 to $6.30 per standard order of British thermal units, BTUs, from the US (cheapest) through to Japan (most expensive). For Zurich-based Fabio Di Grezia, portfolio manager and fund analyst at Falcon Private Bank the recent fall in gold prices has made the asset class more interesting. 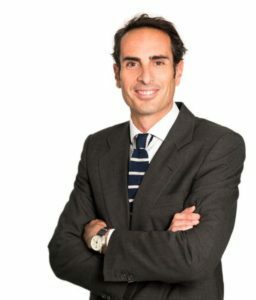 In Spain, Diego Fernández (pictured below), A&G Banca Privada’s head of fund selection says it is important to distinguish between the pure commodity play from commodity linked equities. “If we consider equity-related commodities, we have been more active in the gold miners but trimmed positions some months ago. The importance of US interest rates on the key commodity currency means that it is important to have a view on when US rates may change. However, Fernández does not see this as the only driver of expectations. “The Fed is extremely data dependent this time and thus, a hike of interest rates will be a sign of an improving economy and the process will be gradual. If we add to that an acceleration of the emerging economies, which tend to be more commodity intensive, the Fed should not be the main driver of commodity prices. Dollar strength will always be a headwind for commodities and they will not be immune to it, but that strength is not our central scenario. Because of a view that commodities are in the “middle of a cyclical bull recommends caution, and bias towards passive products “for the time being”. Rubio also notes a crucial technical reason why fund selectors may be limited in their use of commodities: “Owing to the Ucits rules, we cannot invest in direct commodities and we are only allowed to use rule-based indices, and so the funds that we recommend offer exposure to diversified baskets of commodities including energy, agriculture, livestock, precious metals and industrial metals. Gisela Medina, head of Alternatives Analysis & Selection at BBVA QF, is another who cites the Ucits rules. “In the Ucits framework only broad diversified commodity funds are possible, so we focus on the active fund managers that are more persistent in their performance but we couldn’t say that we are looking at any commodity sector in particular. In the passive space we have a much more pragmatic approach and here we have been and we are still incorporating in our catalogue selected ETFs on individual commodities and on certain commodity sectors like precious metals or energy. “Commodities have been one of the most profitable asset classes this year. According to Danny Dolan, managing director of China Post Global, which owns the Market Access range of ETFs, demand for broad diversified commodity index ETFs which are Ucits compliant is strengthening, as investors see the opportunity for returns in addition to the diversification benefits. But not all commodity ETFs are the same, Dolan points out. “They are as different as their underlying indices. Several European commodity ETFs track production-weighted indices and/or indices that are based on commodity futures trading volumes. These indices do not reflect the global consumption pattern of commodities. As a result, they tend to be less broad and less diversified than indices that reflect these factors in their methodology,” Dolan says. “They also typically over-weight energy, and under-weight or not include commodities that are important in representing the asset class. Divergence of returns can be significant, for example the Rogers International Commodity Index outperformed the Bloomberg Commodity Index by 3.54% and the S&P GSCI by 15.2% over the last 5 years,” he adds.